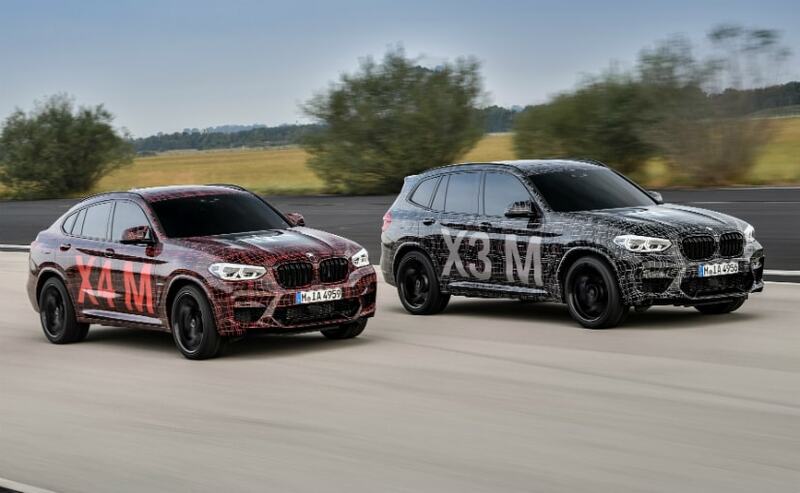 BMW has teased the X3 M and the X4 M. Expect these two performance SUVs to make their global debut soon, possibly at the 2019 Geneva Motor Show. The teaser photographs that BMW has released, sees the two SUVs dressed in camouflage and strut their stuff on a racetrack. 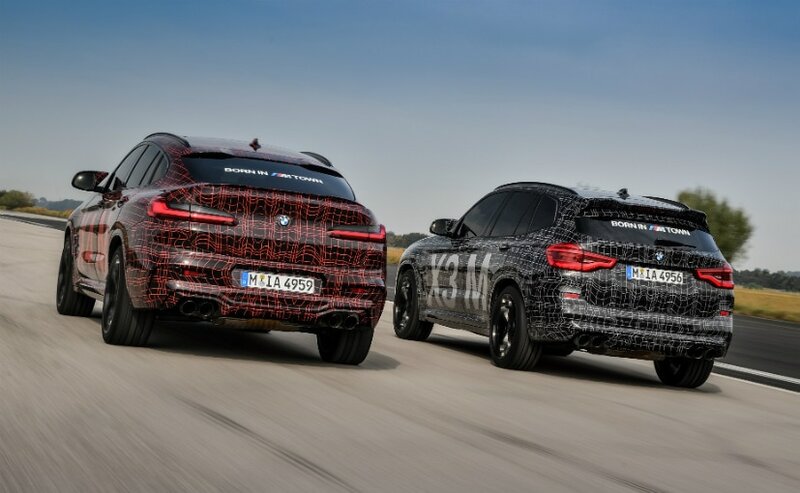 While exact technical specifications haven't been revealed yet, BMW says that the two new SUVs will get a newly developed in-line six engine which will be turbo-charged and could possibly pump out power in excess of 450 bhp. BMW M says that the engine will have a high-revving characteristic and could also make its way to the new M3 and the M4. Also, the engine will get an 8-speed automatic gearbox along with an 'M-specific' all-wheel drive version. This will allow the car to split power and torque not only between front and rear wheels but also the rear wheels themselves. Expect these beastly SUVs to get typical 'M-Sport' bits such as bigger wheels, bigger brakes, bigger air intakes, quad exhaust tips and further aerodynamic kit as well. 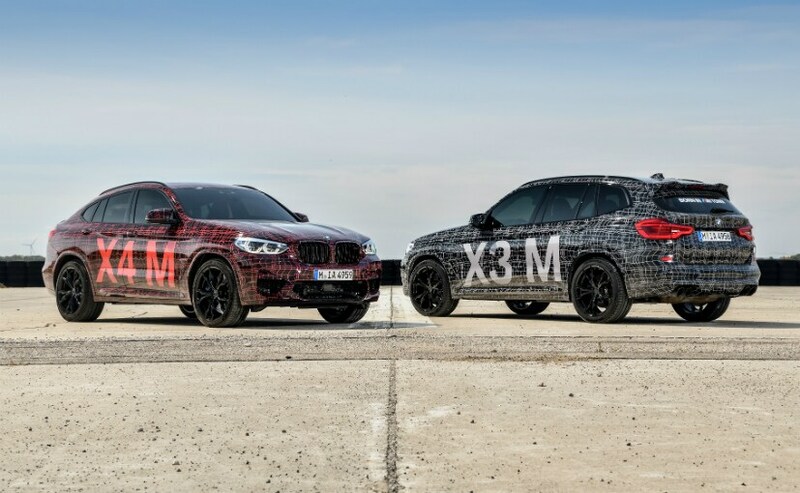 BMW has been testing the X3 M and the X4 M for over a year now. Some of the other performance SUVs which go up against the BMW X3 M and the BMW X4 M are the Jaguar F-Pace SVR, Range Rover Velar SVAutobiography and the Mercedes-AMG GLC 63 along with the GLC 63 Coupe.